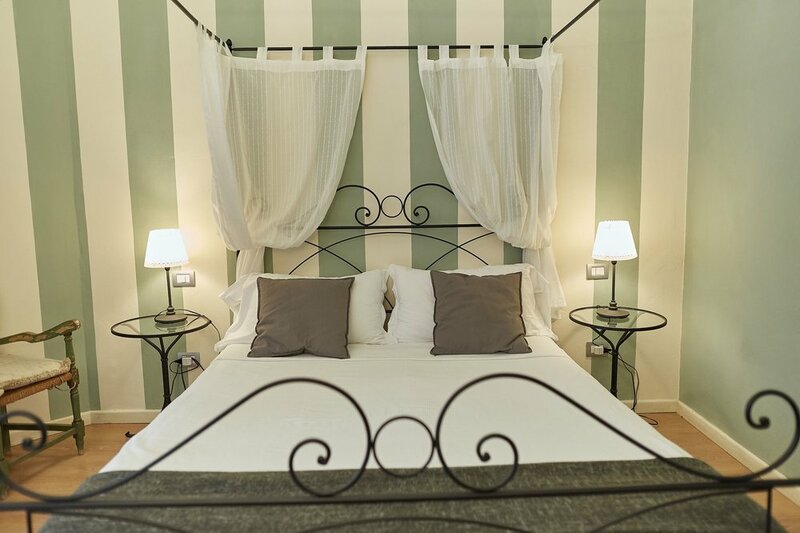 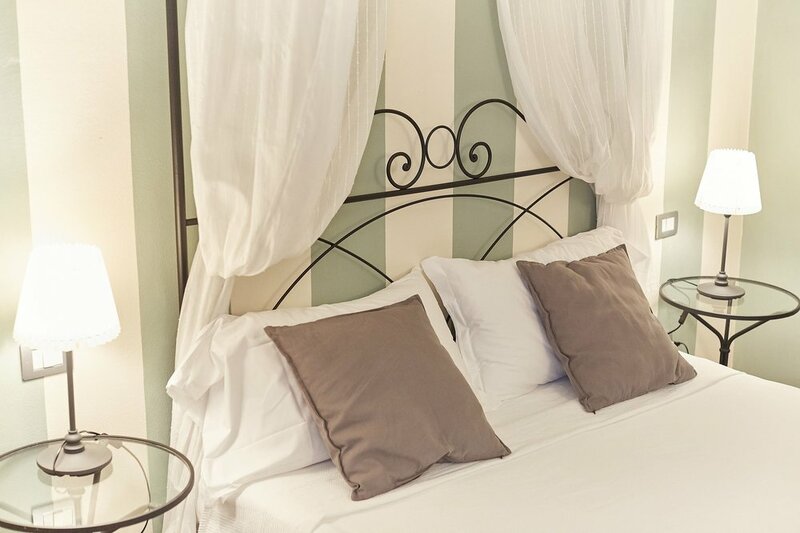 The sage green color tone leads you into a magnificent and spacious double room with a private bathroom and shower. 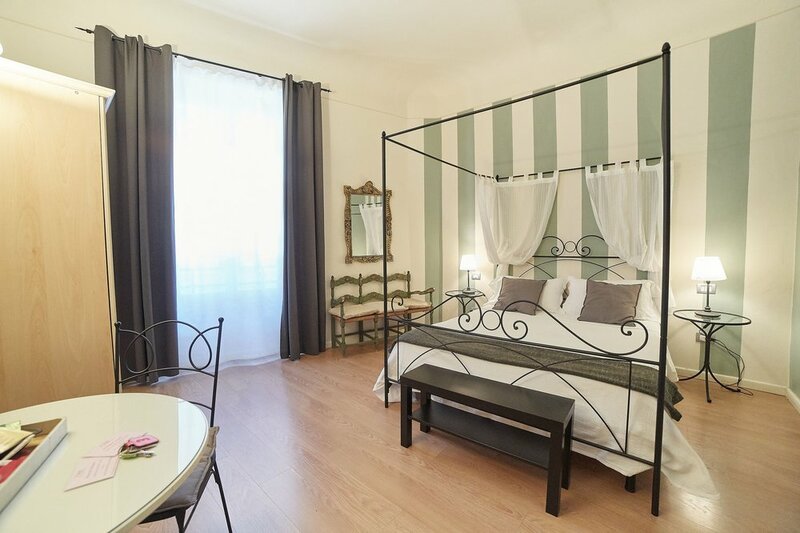 Bed Sizes: 160 cm × 190 cm. 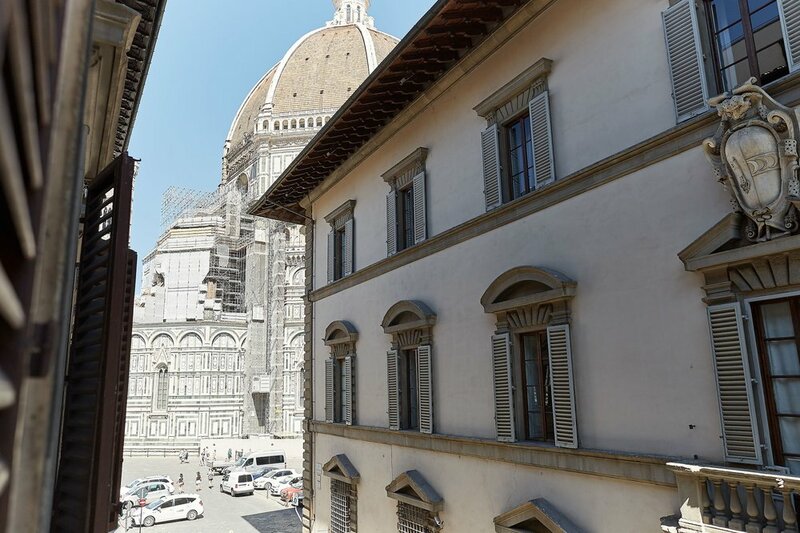 View of the Duomo di Firenze.